The Full-Body Zero Gravity Space Saving L-Track Kahuna Massage Chair Recliner LM6800 is a high end massage chair made with the latest technology and offers a massage experience you can only experience in a high end massage parlor. Design wise, the Kahuna Chair doesn’t have a lot to offer as the chair’s brown all over but where it lacks in design, the Kahuna LM6800 offers a lot in technology. First, you have the elevation of the Kahuna chair that will help raise your legs and tilt your body back, which puts your legs above your heart level and helps blood flow. There’s also a lot of different massage options from rolling, tapping, kneading to Shiatsu and there’s an even an option to have kneading and tapping at the same time. One of the more beneficial things promised in this Kahuna chair is the heating technology which evenly spreads out heat over your legs and your lower back. There’s different speed levels depending on how fast or slow you want to go and there’s different air pressure levels as well. One thing we look for in a massage chair isn’t just the level of massage options available but we also like to make sure that the comfort level of Kahuna chair overall is high quality as well. This Kahuna massage chair is designed to act as a zero gravity chair and has three different levels of zero gravity for ultimate comfort. While the price tag seems a bit scary for some, is the Kahuna chair worth it? We got our hands on one to find out. We wanted to see if it was worth the comfort, if the functionality of the chair made up for the price and if all the promises of the Kahuna massage chair lived up to its word. You can review our findings below in different sections of design, durability, the features of the Kahuna LM6800, the pros, the cons, frequently asked questions and our final conclusion of Kahuna chair. The design of the Kahuna chair seemed relatively straight forward and wasn’t anything too impressive. Brown seems like a standard color for the massage chair and while the exterior of the chair doesn’t offer anything too impressive in terms of design, the interior design is pretty good. First, the padded grooves that make up the leg rests in the chair are built for padding and calve support. Then there’s the shoulder rest where you can get a nice and relaxing air massage on your shoulders from the Kahuna massage chair. The lower back area of Kahuna chair has a uniquely designed pattern that’s made to sit back in without getting cramps and it fully supports the lumbar. There’s also the grooved sections of the arms which offer an arm air massage which a lot of people find relaxing. Fear not, if you’re worried about the overall durability and quality of the materials used in the construction of the Kahuna chair. This chair is relatively heavy as it weighs up to 249 pounds when it’s fully assembled because of how many different parts are used in the chair. It’s not easy to move around but the Kahuna chair is highly durable and supports just about any weight you can throw at it, as long as you can fit in the chair. If you’re not satisfied for any reason, the manufacturer has given a 30 day no questions asked return with a smaller shipping fee. Zero Gravity – The L-Track massage system offers three different stages of zero gravity. There’s a computer inside the Kahuna chair that will actually scan the size of your body and try to find the best possible custom massage for you. We tried this feature out and were pretty impressed at how it could detect the shape of your body, which area of your body was in need of a massage the most and how it could custom fit you to the best massage. Automated Programs – The Kahuna LM6800 has 6 different programs that are specifically designed for exercised to help you relax. There’s even a special yoga stretching program that will help you simulate full body stretching. Foot Roller – On the foot resting area, there’s dual foot rollers and heat spreading technology to help relieve the pain and pressure in your calves, where most people feel pain in their lower legs. After a long day at work of standing on your feet or after a long run, you can sit in the Kahuna chair and instantly feel the warm massage hit your lower legs. Base Roller – If you’re concerned about hitting the wall or saving space in your home, so were we. When we tested the Kahuna chair, we found out that in the owner’s manual, it stated you only had to be 3 inches away from the wall thanks to the base roller which will push you forward and won’t require a lot of room in the home. Warranty – Every great product is usually backed by a great warranty. The Kahuna LM6800 offers a 3 year limited warranty and this includes every part of the chair. They also guarantee the quality of Kahuna LM6800 massaging chair won’t diminish over 3 years as well as they offer all structural framework repair on the chair for free. However, you should note that this only covers residential chairs only. For the first year, all of your labor costs and your part costs are voided. Q: Is there any assembly required? A: Yes and it’s a bit difficult to assemble if you’re doing it by yourself or you’re too weak to lift things. There are instructions and all the necessary parts included but this chair isn’t easy to put together. However, it’s worth it once you finally get it together. Q: How do I change the massage time to 30 minutes? It seems like it’s stuck on 15 minutes. 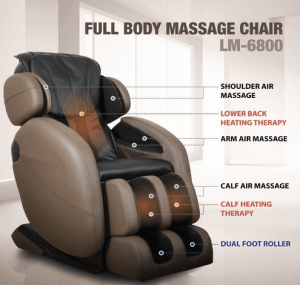 A: To change the massage time to 30 minutes, all you have to do is press manual and this will reset the time without changing the position of the Kahuna LM6800 chair. Make sure to go back to auto after hitting manual. 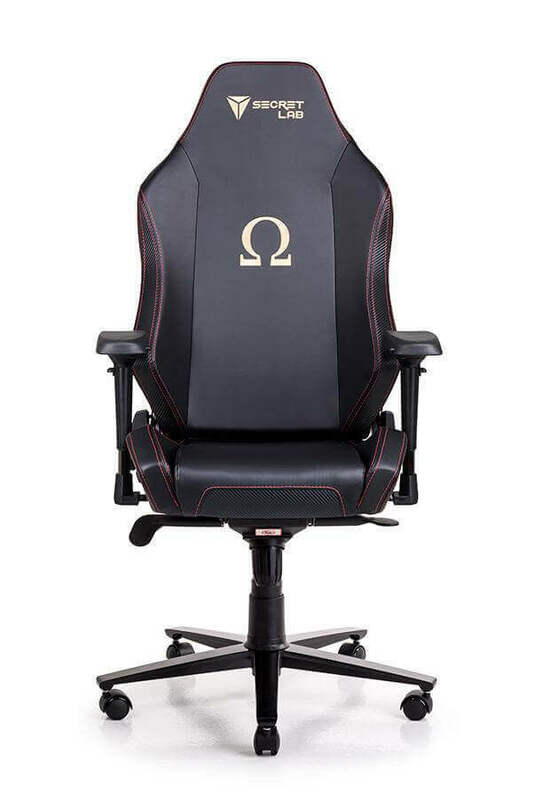 Q: Can I have this chair delivered or setup for me? A: Yes, there’s a white glove delivery service in applicable areas that will deliver this product to you, even if you’re on the second floor. Also, they’ll be more than happy to install it for you and set it up so you’re ready to go. Without the white glove service, you’ll end up putting the product together yourself. Q: What if I’m tall? Will I fit in this Kahuna LM6800 chair? A: Yes, you’ll be just fine. People who have reviewed and tested this Kahuna LM6800 over 6 feet tall have had no problems with this chair. When you’re looking for a Big Joe chair, make sure that it has the striking similarities of Big Joe products. Big Joe may actually be called Big Joe because the products are quite large, even if they’re meant for small spaces. This particular chair has a very wide base and a thick cushion, so make sure the seating position of this chair is relatively thick. Also, the arms will be pretty thin and Big Joe is usually very good about shipping in a timely manner, which is currently three to five days at the very most. Big Joe Aloha Chair review - this chair is on the smaller side and is definitely more geared towards children. It may be big for a small child, but will still be comfortable. For kids aged 7 to 18, it should be just right. Even smaller adults will fit just fine and find it comfortable. Anybody over 5' 6" or so and weighing more than 150 pounds may find that it is too low and that it isn't firm enough. The Big Joe Aloha Chair is manufactured very well and should last for years while your child quickly grows into it and, then, much later grow out of it. If you feel like you need a firmer cushion, then you can order replacement fill and fill it up as much as you like. The lockable zippers can be opened with a paperclip and instructions on how to do this are on the product label. An interesting, kid-friendly feature is that the box it arrives in has cut marks and instructions to turn it into a castle for kids to play in. This also adds to the appeal when buying this chair for a child. ​This Big Joe chair and others are usually best bought on Amazon, because of their low prices, their tremendous reviews, and their fast shipping. There are other places where you can obtain these chairs but you may not get the same guaranteed quality or the same product, which is why we recommend ordering explicitly from Amazon. They’re also sold directly from the USA and even filled in the USA, so you don’t have to worry about a lengthy shipping period from another country when you order. However, you do have to buy your own refill beans if you ever need to. Set up is very easy. The Big Joe Aloha Chair is all self-contained within the box it arrives in. It comes compressed, so once you take it out of the bag you will need to fluff it up as much as possible. Give it 7 to 10 days to come to its full size. Yes, this is quite a long time to wait, but the premium fill is different than typical memory foam and needs more time to come to its proper size. Your patience will be rewarded with one of the most comfortable bean bag chairs on the market​. Does the Full-Body Zero Gravity Space Saving L-Track Kahuna Massage Chair Recliner LM6800 hold up to the standards it sets for the price tag? The short answer is absolutely. This Kahuna chair is a one of a kind and one of the most comfortable massage chairs we’ve ever personally tested. The back rollers were almost mesmerizing as they roll up and down your back, leaving you not wanting to get out of Kahuna chair. Then there’s the air massage technology in this Kahuna massage chair which we weren’t too excited about at first but quickly changed our opinion once we tried it out. It’s refreshing and feels pretty good. The calve and leg rollers of Kahuna LM6800 were great for sore legs and the different custom fit massage options that are tailored to you by a computer was one of the most mind-blowing things we’ve seen in a massage chair. We can definitely recommend this chair from Amazon.com and it’s definitely worth the purchase. This looks like a great chair. Is it manufactured in Japan or China?